Good design can literally change your life. It is our goal to provide you with a positive project experience and the best possible outcome. Our design firm is proud to be based on client referrals. It is the best compliment we can ask for and is very much appreciated. We hope to earn another one from you! Ready, set, go! Bear Trap Design works closely with your general contractor or a highly recommended one. While the general contractor oversees the construction process with the structural and mechanical sub-contractors, Bear Trap Design keeps an eye on the design details regarding flooring, paint, cabinetry, counter tops, plumbing and light fixtures. We have a team of artisan contractors that work regularly together like a well-oiled machine. Bear Trap Design manages the schedule and keeps the client informed and up to date. This partnership provides an efficient and timely project completion date with the best possible outcome. It’s true … details are everything. It is like the proverbial cherry on top of the ice cream sundae. Furniture, art work, accessories and window treatments complete the space. Once this is done, you are ready for the fun part - professional photographs. Another project - well done! 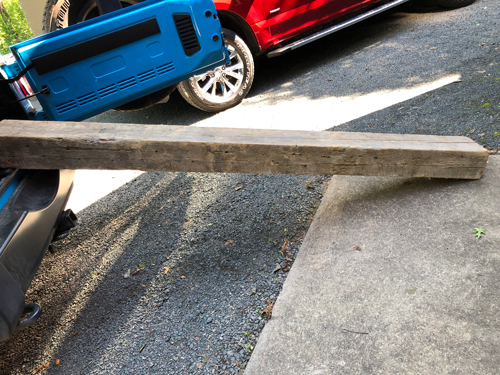 An old barn beam was purchased from a flea market in Iowa. 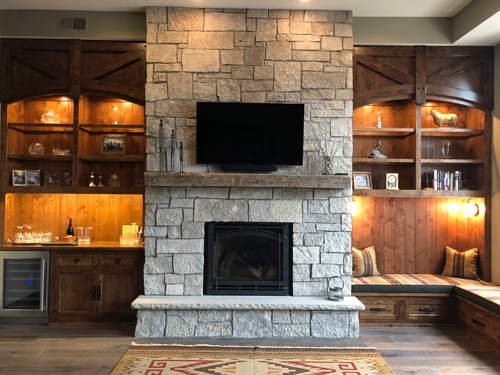 The beam was modified to fit above the stone fireplace between beautiful custom built cabinetry. 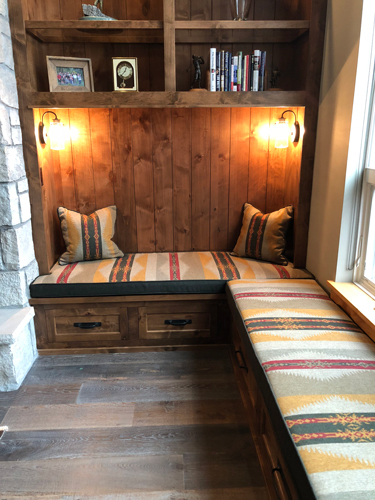 Accent lighting highlights the left side bar cabinet and the right side cozy reading nook. The space is topped off with personal accessories and enough seat cushions to accommodate a crowd. A cozy reading nook ready for a roaring fire and a good book! Choices in lighting, flooring, paint colors, fabrics & cabinet design – transform dreams to reality. The right materials create the perfect finished look.